Let’s go over how you can market your site, app, or whatever you have to offer with no budget. I get a lot of questions from people who are just starting out. In many of the webinars I run or when we put out a survey for “Is your business doing under $100,000?” maybe 50-60% of respondents will say that they don’t have a business and they’ll ask us for advice. Let’s start with SEO first. When you set up the foundation on your website, make sure that all the SEO 101 stuff is correct and you have things that are crawlable. The next step is to make sure that you have content. With content, you’re really setting the stage to open up into other areas of growth. You can do that on your own. What it comes down to, is that people search for pretty much everything online. It’s that simple. Go to Quora and you’ll see all the questions people have within your space. Quora is a Q&A site on anything out there. You can even find questions like “How hard is it to be an Olympian?” They discuss every single topic out there, whether that’s marketing or business or Olympic sports. A couple years back, we got a client who was paying us $30,000 per month just by answering a question on Quora. All I did was answer a question on SEO, and to this day we get random inquiries from various core posts that we’ve written in the past. Answering questions on Quora is a good idea because their domain authority is so high. When you’re answering these questions and you write something really great and long form, it’s going to rank well. Go and look for the most popular questions in your space and then create content that basically answers those questions. You can make your blog post title the exact question. Your goal is to create an answer that’s more in depth and more thorough than a one or two paragraph answer you’ll find on Quora. Chances are, you’re going to get a lot of search traffic once you start ranking for those keywords. Of course, you don’t want to write content on just any question. The question has to be relevant to your business or helping out your ideal customer. Those are the types of questions you want to build your content around. If you give that content 3-6 months, you’ll notice that you’re getting a lot of search traffic. When you’re starting out in marketing and sales, they blend together. There’s a lot of hand-to-hand combat going on. 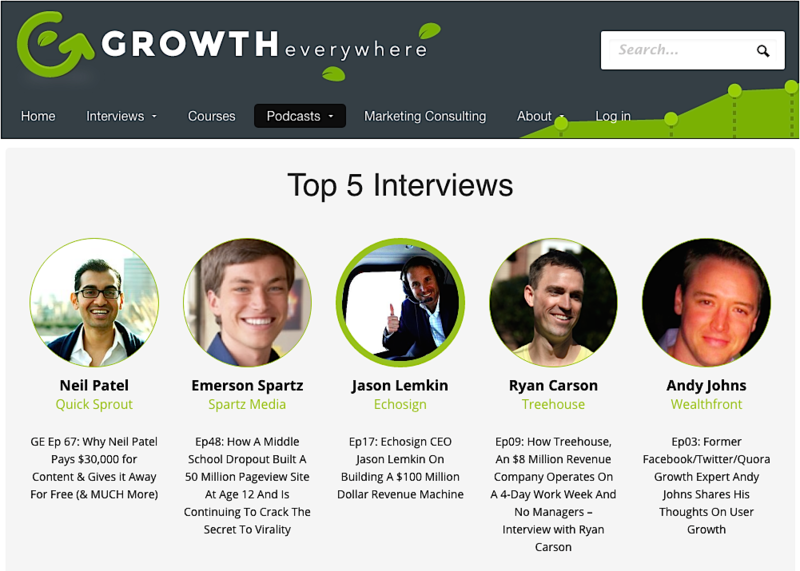 If you listen to some of the interviews I do with entrepreneurs on Growth Everywhere, I’ll ask, “How did you go about acquiring your first hundred customers?” The answer is always hand-to-hand combat. In other words, you’re knocking on doors, cold e-mailing people and building out content that needs quality links. Because at this point, you don’t have any type of traffic coming to the site. That’s why you need to reach out to people, perhaps by collaborating and putting content on their site. Maybe you’re doing guest posts. Whatever the case, you have to go out there and reach out to people because they have no reason to do anything for you since you’re an unknown. Use tools like Hunter.io to find these people and prospect them. You can also find them on LinkedIn. Either way, your goal is to build a prospecting list. Once you start collecting e-mails (if you don’t know how to collect e-mails check out our last post), you can layer on a tool like Clearbit and find out exactly who is opting into your website. You can start to generate leads that way and market to these people, too. When you’re first starting out, make sure that you have Facebook pixels and Google pixels on your site. That way you can re-target people and build a retargeting list that will be more flexible as time goes on. 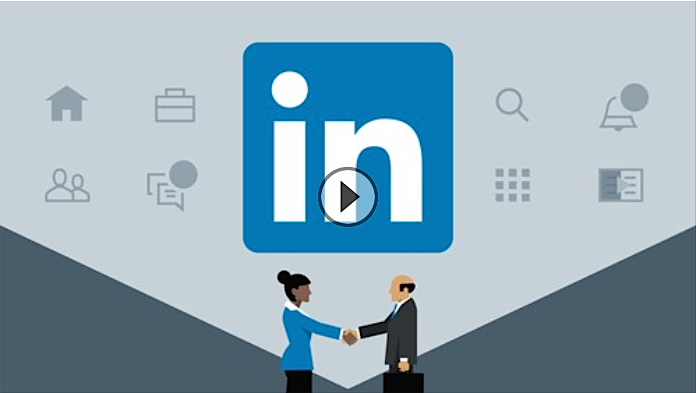 One great strategy for new businesses is to join all the relevant LinkedIn groups that are related to your website. That way, every time you write a new blog post, everyone in your group will see it. By doing this, Neil easily gets 10,000 visitors from LinkedIn. It doesn’t matter if you’re in B2B or B2C—join relevant groups and share your content on them. The trick is to not be too self-promotional. If you go into these groups, you have to participate, add comments to other stories that people are posting, and share stuff that isn’t just from your website. Then when you do start sharing stories from your website, it’s much more likely to get submitted to the group or approved. That being said, all groups have different rules. What I’ getting at is that you don’t want to build everything on your own site. Your own site should be the foundation. But you can and should piggyback off these larger communities, like Quora or even Reddit. You can market your site by going on these other sites. 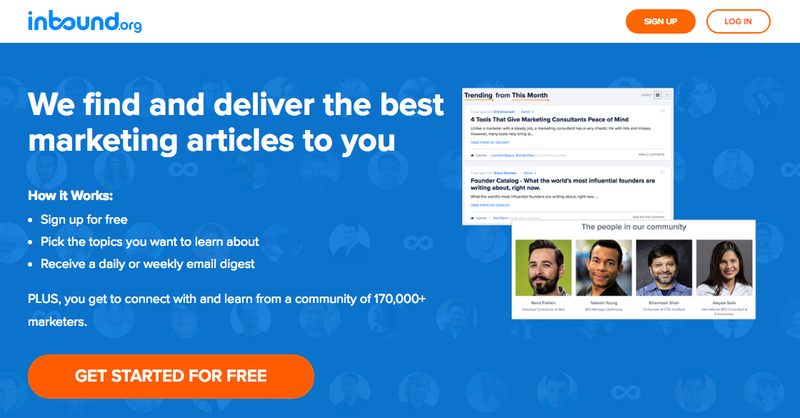 If you’re a marketer, GrowthHackers and Inbound are great communities that you can join and contribute to. Let’s say you’re the best plumber in the world—you can probably go on a lot of different home improvement podcasts. You don’t need a budget, but you can still find all sorts of home improvement or interior design podcasts and get interviewed. I know people who have paid five figures to be on Tim Ferriss‘ podcast and it’s highly profitable. Another strategy to look at is Twitter. You’re probably saying to yourself, “Hey I don’t have any followers, so how am I going to get traffic from Twitter?” Here’s what I want you to do. 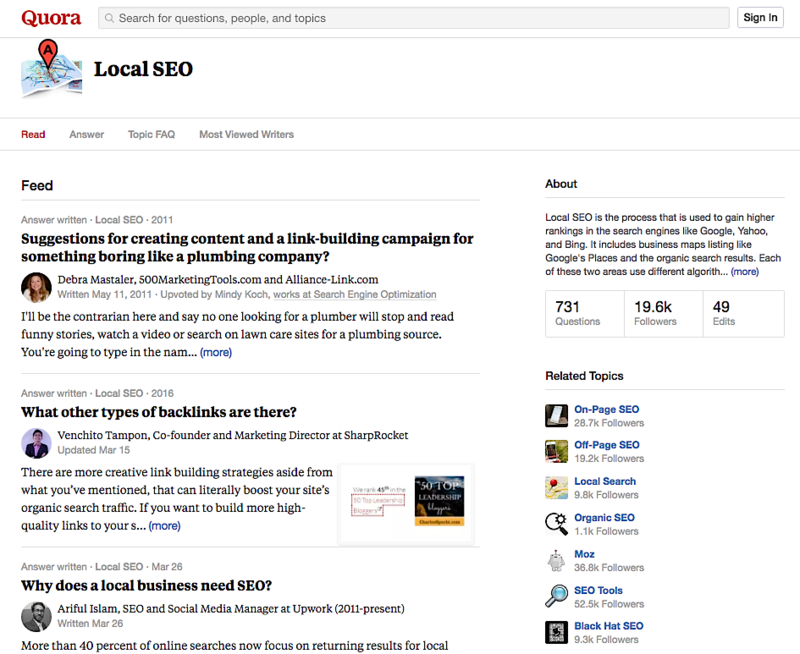 Go to Buzzsumo and type in keywords that are related to your industry. They’ll show you the top posts based on social shares. 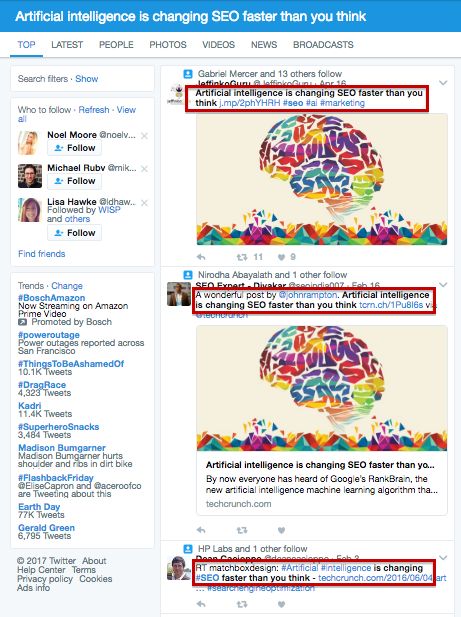 Take the content pieces that are relevant to your space and put them in Twitter.com/search, and Twitter will show you every single person that tweeted it out. Go to their profiles, see if they have a link to their website or if you can find their e-mail address (which some people put in their Twitter profile). When you do this, you’ll eventually have a list of e-mail addresses of people who have tweeted about those popular pieces of content within your space. Then when you have similar-themed articles that you’ve written, you can e-mail each of those people. It’s that simple. People will reply with, “Yeah sure, I’d love to see it.” Then all you do is respond to that e-mail with, “Here you go” and give them the URL. You could even add a PS like: “Let me know if you want me to share anything on my Twitter account for you as well. Cheers.” And always be sure to thank them. It’s that simple, and you’ll get traffic from Twitter. You’ll have to send out hundreds of these e-mails, but it works. If you do this over the long haul, you’ll continually get more and more social traffic. Eventually these people you’re e-mailing will become familiar with you and your website, and they’ll start visiting it and sharing your content without your even asking them. When you’re starting out, the goal is to leverage other people’s audiences. Think about it—even if you’re building up your SEO traffic, you’re leveraging Google, right? You also have the option to use social channels like Instagram and Snapchat. If you’re a real estate agent, you could probably use Instagram to show your houses and also put stories inside Instagram or Snapchat to build your following. You can use YouTube as well. The point is, when you’re starting out, you don’t really need anything fancy. You can take out your smartphone and start taking pictures because all smartphone cameras are pretty good now. You can go out there and start building up your brand and it’s not going to cost you any money. Just be useful to people and add value in some way. The thing is, a lot of people aren’t willing to put in a lot of time to do this stuff. If you’re out there hustling and you spend six months to a year just doing more than other people, you should be able to stand out from the competition. This post was adapted from Marketing School, a 10-minute daily podcast in which Neil Patel and Eric Siu teach you real-life marketing strategies and tactics from their own experience to help you find success in any marketing capacity.